Some people seem to have perfect cheekbones, an amazing jawline and a balanced forehead. Appearances aren't always as they seem, though, and some of those faultless looks owe a bit of credit to a good contouring technique. 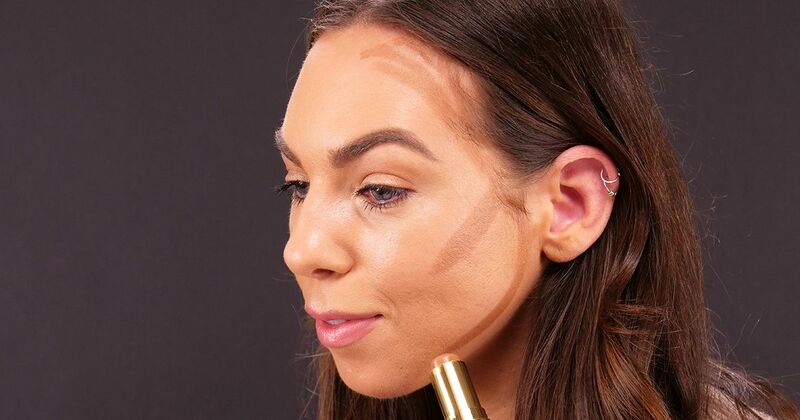 You don't need a professional makeup artist to teach you how to master contouring. The "3" or "E" technique works on almost every shape face, because it strives to create an oval by narrowing the forehead and jawline while defining the cheekbones. 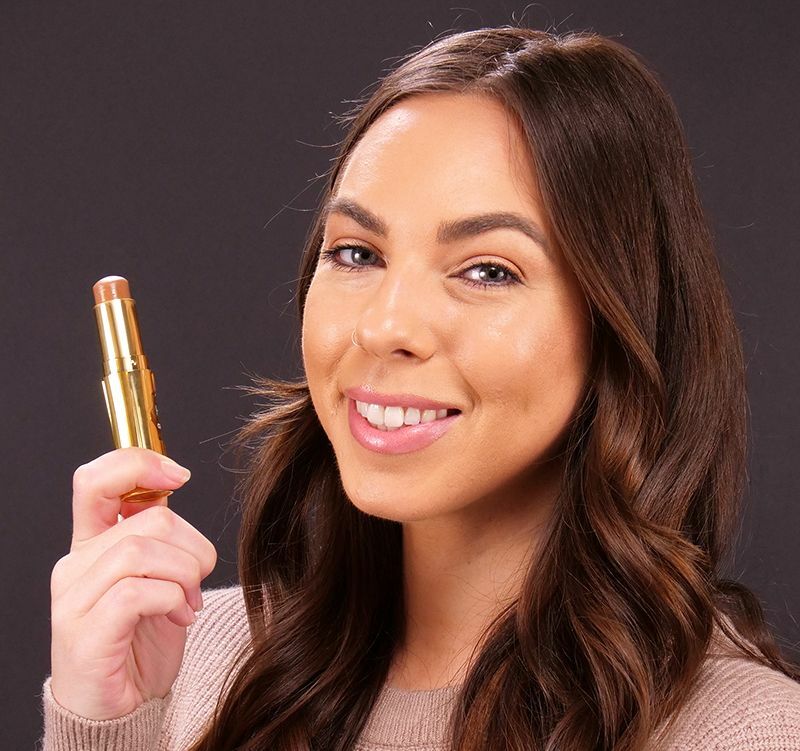 If you prefer a natural radiant finish to a matte one, then cream contouring sticks are your best option. They're also easier to blend. If you wear foundation, apply it first, then proceed with the steps indicated below. The tutorial features a Kabuki brush, which blends cream products more thoroughly due to its round head and dense bristles. You can swap out another brush if necessary, but don't press too hard, or you'll rub away the contour and potentially damage your brush. 1. If desired, apply foundation to even out your skin tone and prep your face for contouring. 2. Draw a "3" or "E" with the contouring stick on one side of your face. Begin at the upper corner of the forehead, then apply additional product at the temple, and along the cheekbone and jawline. 3. Blend the cream in small circles with a Kabuki brush. Tip: Don't sweep the brush back and forth, as this will remove too much product. Also, avoid brushing the contouring cream in a downward motion, as it will make your lower cheeks look unnatural. 4. Apply additional contouring cream, if desired, then blend the edges with your fingers. Your body's natural heat will warm and diffuse the product. 5. Repeat steps three and four on the other side of your face. You look radiant! When contouring is done right, it defines your features better than almost any other makeup product. Stay pretty, and please share these contouring tips on Facebook.